Library storage of data by user defined formats. Package includes mean, std. deviation and coefficient of variation, with maximum, minimum, and histogram automatically calculated after the second test. Data can be exported to popular spreadsheets and statistical programs. Windows 95, 98, NT, 2000, ME and XP compatible program. The Benz TR 2200 reports an elastomer's low limit operating temperature. It also details a sample's percentage of retraction at different temperatures. And it allows the determination of a temperature range in which a sample is elastic. The Benz TR 2200 is often used with a Benz BPT 2100, a high accuracy brittlepoint tester, to gauge a materialÍs suitability for low temperature use. 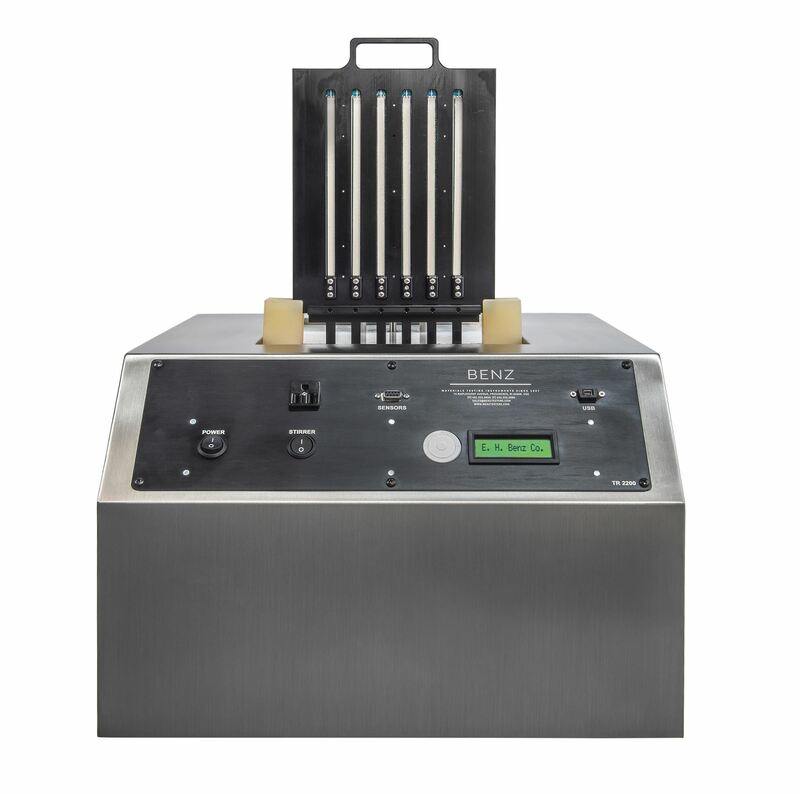 The TR 2200 is unique sample holder reduces temperature deviation when a sample is immersed in its bath. The Benz TR 2200 temperature retraction tester measures the effects of low temperature on rubber, plastic and other elastomeric materials.